With a spirit for a different kind of adventure, Clémence Couten and Lisa Aleksenko have traveled from Paris to Marrakesh aboard a pair of Peugeot 125cc Django scooters. 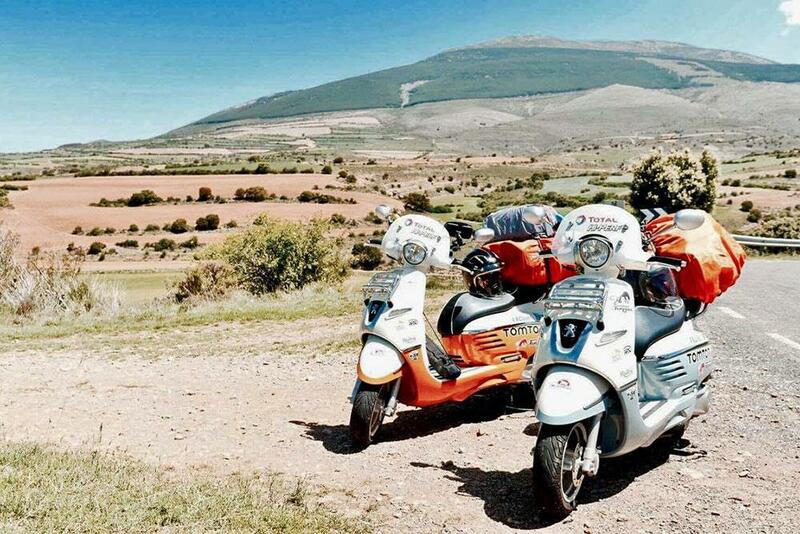 With a 50-day itinery, the pair tackled a 4200km journey which took them through some of the most remote roads in Europe and Morocco, soaking up the different cultures along the way. Riding from Paris, their journey took them through Poitou-Charentes and to Bordeaux before crossing the Pyrénées Mountains into Spain and heading to Madrid. From there the journey would see the pair heading to the Mediteranian, passing through Manzanares, La Carolina, Jaen, Grenade and Lanjaron before hugging the coast to their final European destination of Gibralter. Crossing over to Morocco for the first time into the beautiful city of Tangiers, they continued their trip to Rabat, El Jadida, Essaouira, Marrakech and finally reaching Casablanca – which was originally scheduled to be the final destination. Their adventure didn’t stop there though, as they travelled further south to explore the Portuguesse walled port city of El Jadida before heading to Safi and then falling for the charm of Essaouira. The final leg of the journey would see the girls heading to Marrakesh, where they got to spend a couple of days before heading back to their Parisian home. It goes to show that you don’t need to spend a fortune on a big adventure bike to go exploring. You can see more on the trip here.